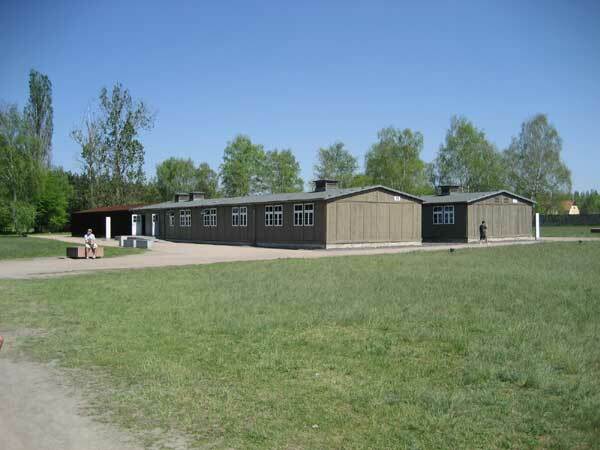 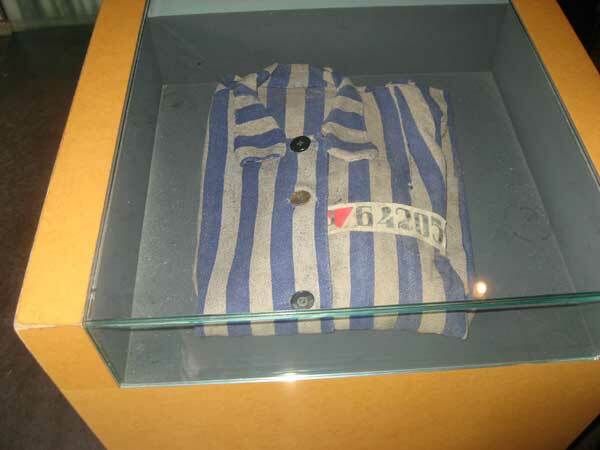 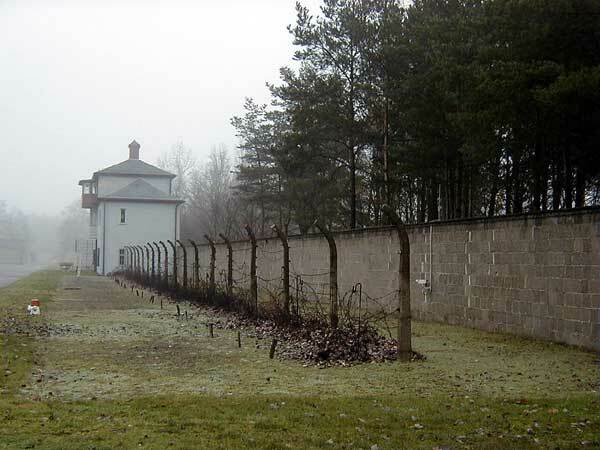 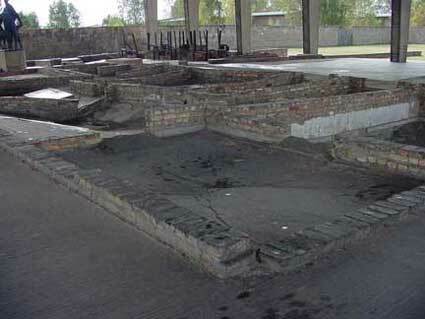 Barracks of Jewish inmates. 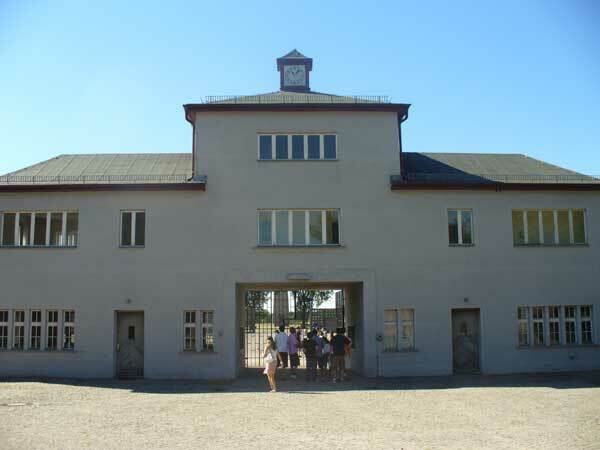 It now houses a museum. 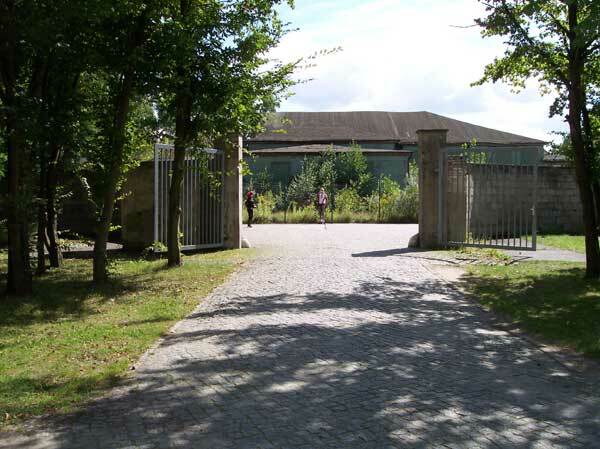 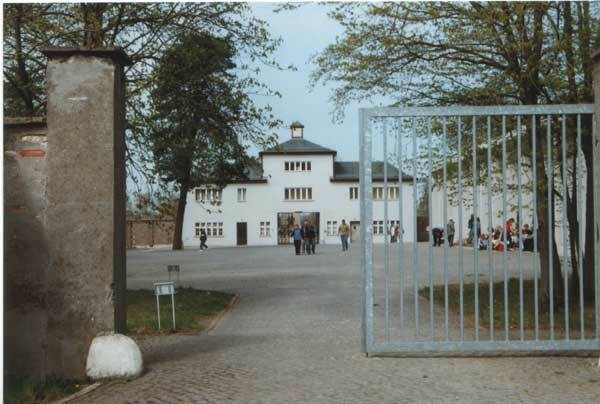 The green building beyond the entrance gate is the remnants of the SS troop barracks. 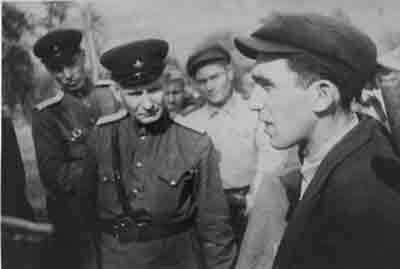 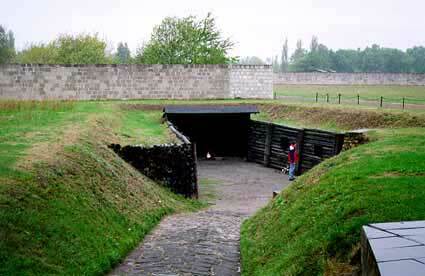 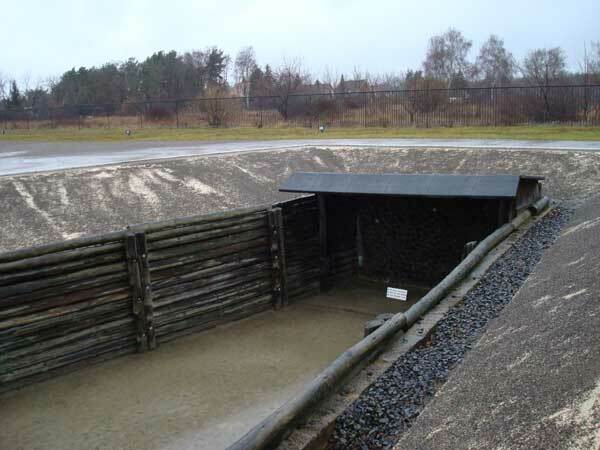 Trench near gas chamber where Russian POWs were shot. 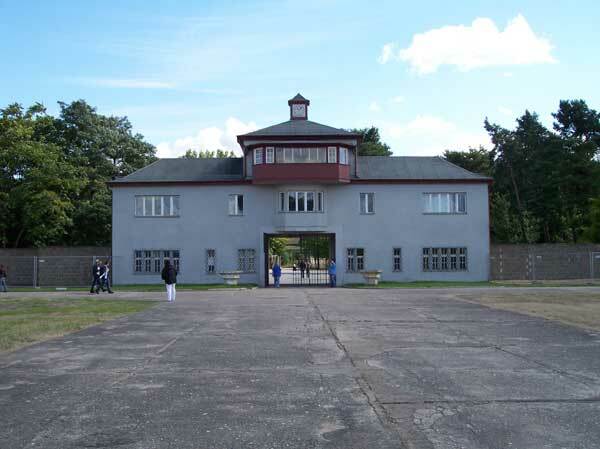 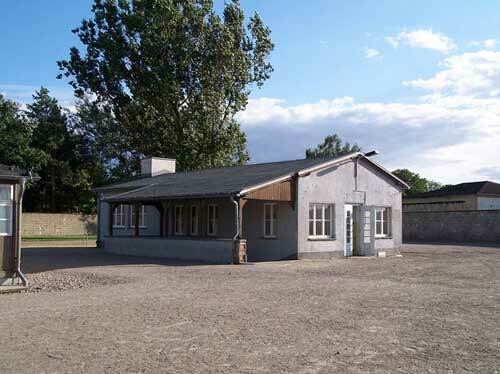 These were the Infirmary Barracks at Sachsenhausen, later used for medical experimentation and now housing an exhibition. 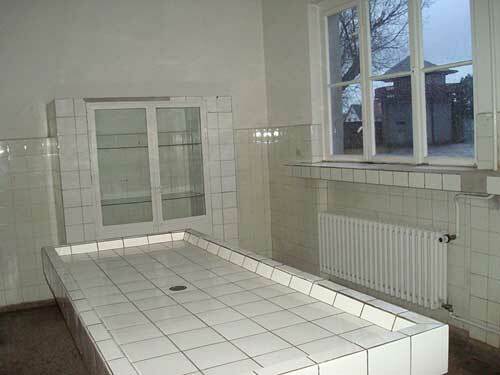 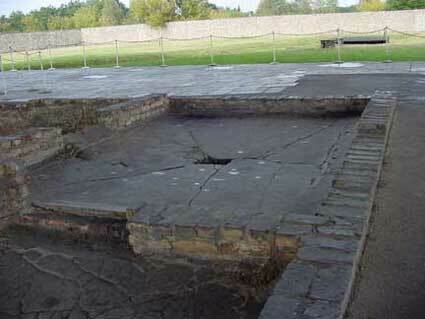 This is the Pathology Block built above the Mortuary Cellar, used to house bodies prior to cremation. 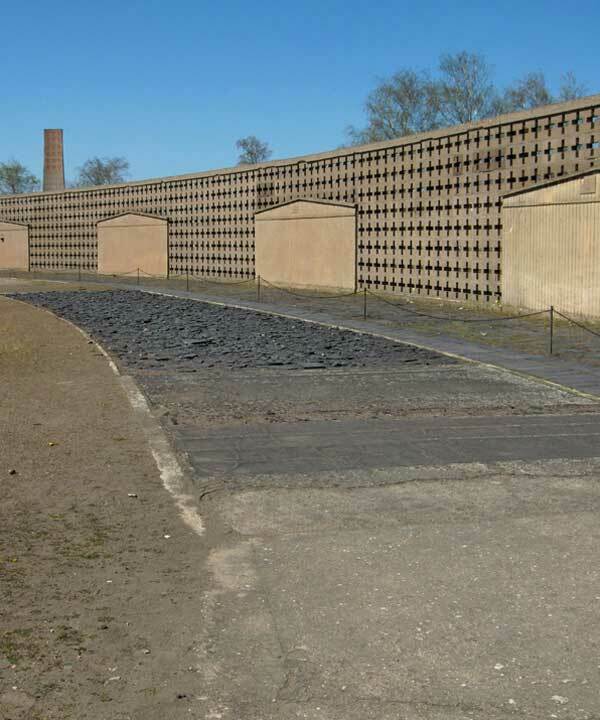 Wall around the Roll Call Area indicating the positions of the barrack blocks. 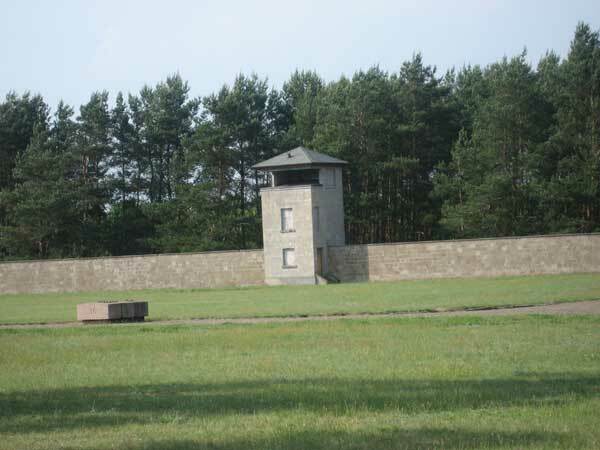 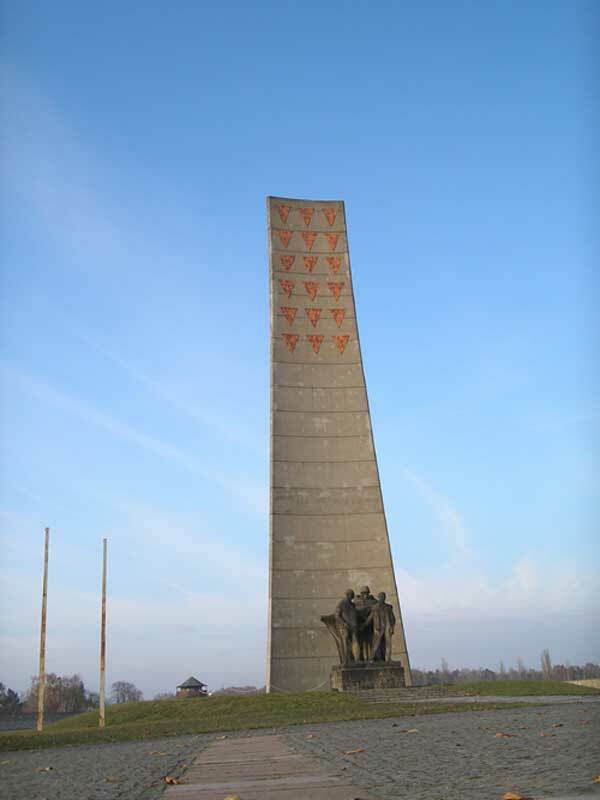 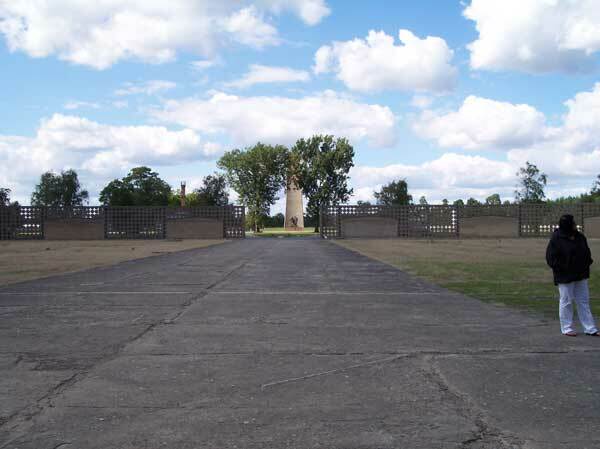 Entrance tower to Sachsenhausen camp from the Roll Call Area. 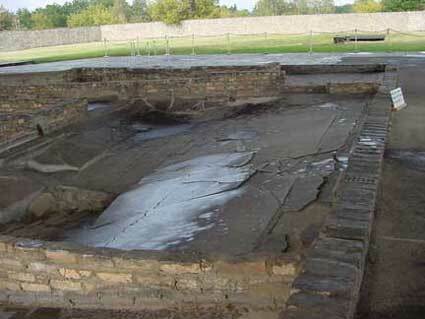 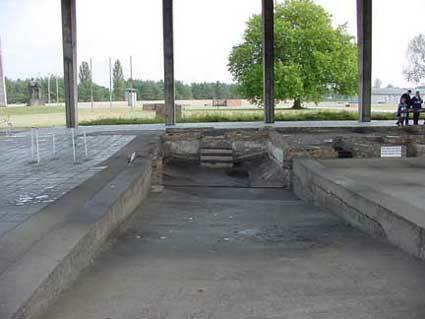 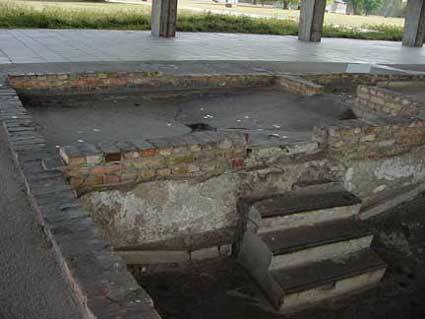 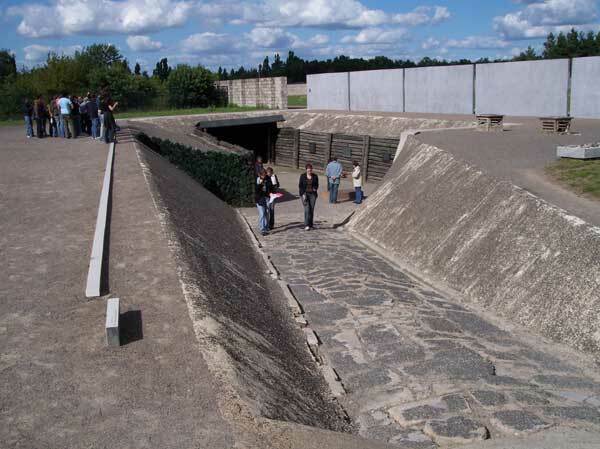 Part of shoe testing track in Sachsenhausen concentration camp. 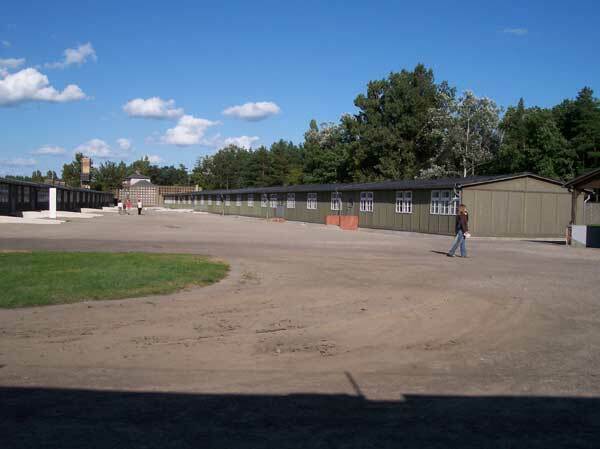 Prisoners who belonged in “Schuhläuferkommando”, the shoe testing unit that tested military footwar for German soldiers, were forced to walk on this track for days at a time.